Ensuring Food Safety from "Farm to Fork"
Building trust in consumer food products is one of the most complex tasks facing the food and beverage (F&B) industry today. The trust that customers have in products influences their everyday buying decisions and the integrity of a food brand. As the food supply chain becomes increasingly globalized, the demand for building greater assurance by offering healthy and safe food products has become more evident. However, the recent highly publicized cases of food frauds—ranging from tainted dairy products to contaminated beef—are critically shrinking consumer’s confidence in the F&B industry, emphasizing the implementation of stringent food safety regulations in terms of quality standards, supervision, and sanctions. Attempting to comply with the demands, food product manufacturers and restaurant owners claim that the growing volume and variability of the food supply chain is making it harder for them to track and document food safety across the end-to-end supply chain. Thus, tackling this crisis calls for a more coordinated and strategic approach—one that takes a holistic view to identify, monitor, and mitigate weak links in the supply chain from farm to fork. This is where North Carolina-based FoodLogiQ emerges as an important pacesetter in the food safety landscape, transforming the way food is tracked and analyzed throughout the supply chain. By providing cutting-edge traceability, food safety compliance, and supply chain visibility, FoodLogiQ helps restaurant operators and retailers ensure that the food products moving across the supply chain are safe and of high quality. What makes FoodLogiQ unique in the food industry? Please mention some of the key focus areas of your food safety solution. FoodLogiQ Connect offers a global view of supplier quality management and greater visibility across the food supply chain. 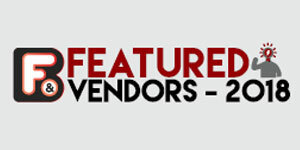 You can monitor and manage all supplier relations through our one-stop dashboard. The platform allows them to organize the key supplier documents and food safety plans, rate supplier performance through audits and assessments, keep important metrics at their fingertips, and drill down to the live data when further analysis is needed. The software also improves supplier risk management and enables users to be prepared to respond quickly and accurately to any supply chain issues. Food traceability is another key focus area. Using FoodLogiQ Connect's traceability product called Track + Trace, food companies can efficiently manage their supply chain, capture all the data needed for a transparent supply chain, and stitch together critical tracking events to achieve complete farm-to-fork traceability. The platform also lets a food company track and capture quality issues anywhere across their supply chain in real time and triggers workflows based on tailored fields for incident types and requirements that best meet the needs of the issue. 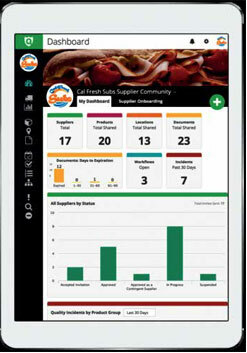 The newest addition to FoodLogiQ’s suite of products is the real-time recall management component, Recall + Response. For most companies, recall processes are very chaotic, scrambled, and error-prone. We solve these complexities by automating the entire recall process. Can you share a case study where FoodLogiQ Connect helped a food company overcome their challenges? FoodLogiQ’s unified platform has helped many companies in streamlining their food safety and traceability measures. Seal the Seasons, a fast-growing frozen food company, was one such firm that was struggling to assemble and centralize all of the required documentation that they need from their suppliers, particularly in light of the Food Safety Modernization Act (FSMA). The company wanted a technology solution that could streamline the task for them as opposed to hiring more regulatory compliance managers. Utilizing Connect’s quality incident management functionalities, the client can now seamlessly manage the two-way communication between all stakeholders. What are FoodLogiQ’s future endeavors? "FoodLogiQ helps restaurant operators and retailers ensure that the food products moving across the supply chain are safe and of high quality"